My beau was sweet enough to gift me these V-Moda Crossfade headphones. The case they come in looks like an accessory of Batman's and keeps them ultra safe in the event of an accidental drop or slip out of the bag. Not typically a fashion accessory worthy of a blog post, these headphones are a new fave of mine, not just because they're super stylin' but particularly because I'm in constant need of good headphones (for (a) listening (b) recording and (c) mixing) and the sound that's emitted from these is superb. If you're over your iPod in-ears or your Beats by Dr. Dre no longer cut it, get your hands on a pair of these. Worth every buck. Loving the shape of those headphones. Oh and the gold cuff looks amazing! 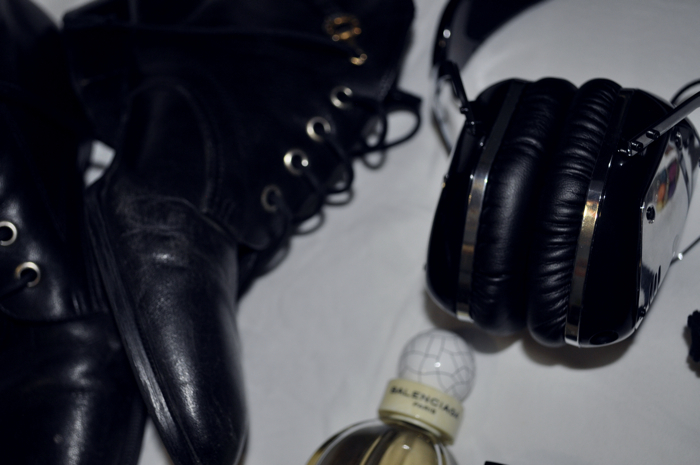 Love these headphones! They're so sleek. I think Apple has taught us that electronics can be sleek and fashionable. I love the Balenciaga fragrance in the background. Hey girl thanks for commenting on my blog, It had brought me to yours. nice blog. I know, Yan.C, it's great, huh! 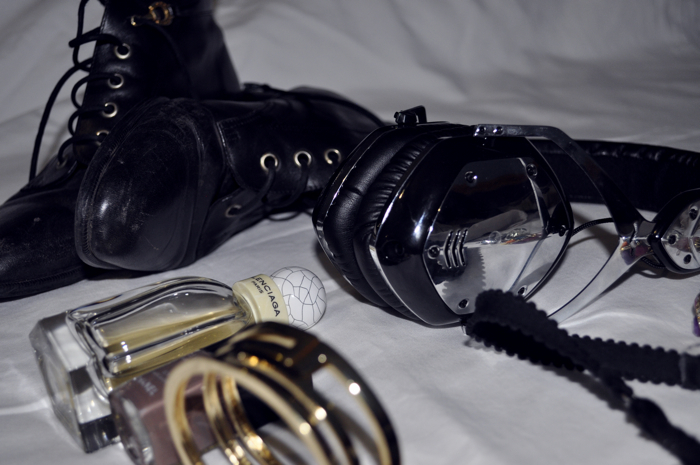 the headphones look so rad, i want! the cuff is also enjoyable and the boots. I like your favourite things.